For Headliner Highlight 005 we talk with Akilah Richards. 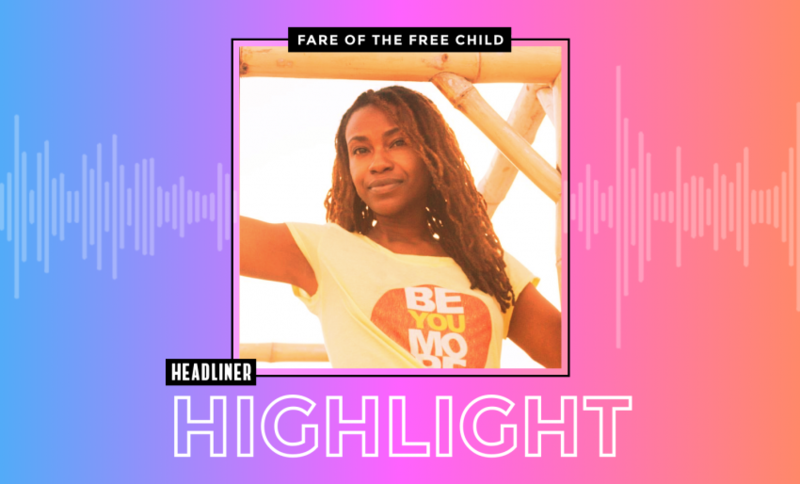 She is the host of Fare of the Free Child Podcast, a show that uses personal narrative and critical analysis to connect communities and increase communication for black, indigenous and people of color who practice self-directed education, un-schoolers and folks practicing Liberation minded learning. I’ve been podcasting since July of 2016. I started the podcast because my family has been unschooling for some time. Constantly one of the questions that I get from other black folks and other people of color is, “oh, how do you manage to do it as a person of color? Is this something that is accessible? Where are the communities? I come across people who are practicing it but want to expand their community. Want more people around them to understand it. We sort through what that looks like and sounds like as well. I have a website. I use SEO to increase my visibility and on my page ranking. I also use Instagram, primarily to share each episode. I’ve also been using Patreon to go even deeper into the things we talked about on the podcast and that also increases visibility because the more somebody gets out of what you share the more they also want to share it. In terms of what’s been the most effective, for me, it’s really just been authenticity. An episode might be the most listened to but I don’t consider that more effective than the one that had the most impact. My measure of Effectiveness is getting the feedback that something they heard in an episode inspired change or growth in a positive way. The way that I do that is through being really authentic. And also making sure that the voice of my podcast is collaborative. It’s not just my opinions. It’s also me backing up and amplifying other opinions about self-directed education. I make Headliners because it makes it super easy for me to succinctly share a juicy bit of the podcast. It’s not always a complete thought but it’s always an engaging thought. I find Headliners to be one of the easiest ways to just like get people to say, Aha. I care about this. I want to hear more or that’s not for me cuz that’s okay, too. My current podcasting setup because I am location independent is like super simple. iPad – I sometimes record audio on that. The Samsung is the one that I carry around all the time. I just plug that into my laptop then I just use a voice memos to record it. Sometimes I use Audacity to edit some basics. And in terms of how it’s changed since I started. I had the Blue Yeti and I was using that one primarily at first. It was my dream microphone and I have my pop filter and wanted to be in one specific location. But now I really just try to get the best sound that I can using the least equipment that I can cuz that makes the most sense for my lifestyle. One thing that I find underrated in podcasts is testing out what might be a good fit for your primary listenership. I think a lot of us get really hung up on formatting. This is the format of a podcast. This is what these successful podcast sound like. But some of those are successful because they have a unique sound and now other people are trying to copy that and they can’t because that’s really specific to that audience, that host, that energy. Not that I’m the expert, but my opinion is that if we were more focused on just being honest and open with our audience and ourselves and being willing to deschool from the idea that the perfect format is going to make everything make sense I think we’d have a lot more fun in podcasting and would have a lot more engaging podcast. If someone was only to listen to one episode of Fare of the Free Child, I would recommend episode 74. That one is an explanation of what it means to raise free people.